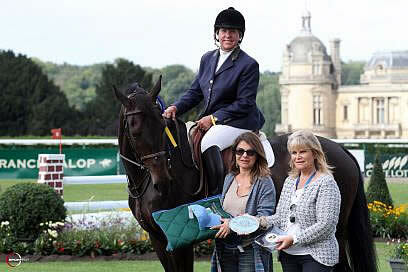 20 August 2012 – The Rolex One to Watch for August 2012 is awarded to Katie Monahan Prudent (USA). Monahan Prudent divides her time between Rosières aux Salines (FRA) and Plain Bay Farm, which she runs with her husband in Middleburg, Virginia (USA). During the month of July, the 54-year-old jumped from 361st to 244th – a move up the Rolex Rankings of 117 places. Monahan Prudent spent much of her early career training at Cherry Blossom Farm in Virginia, where she gained invaluable experience in the hunter jumper rings. Monahan Prudent went on to show her potential as a junior rider, winning both the Medal Maclay Finals along with multiple championships in the hunter ring, earning her a place in the hunter “Hall of Fame”. Monahan Prudent then emerged as an international Jumping star, claiming victory in every major Jumping Grand Prix in the United States, and helping the 1986 United States Jumping team win gold at the World Championships in Aachen. 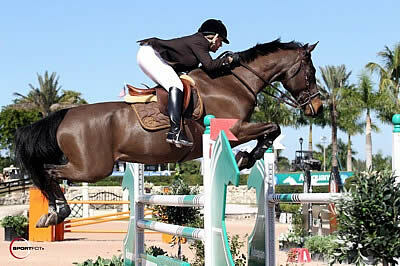 As a result, Monahan Prudent has been hailed US Rider of the Year three times by the American Grand Prix Association.